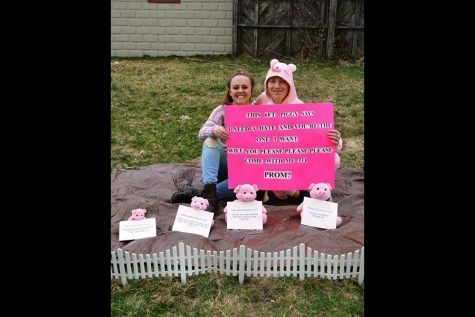 Olivia and Cory with their gymnastics themed promposal. 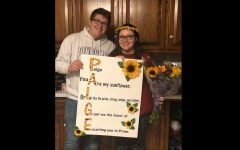 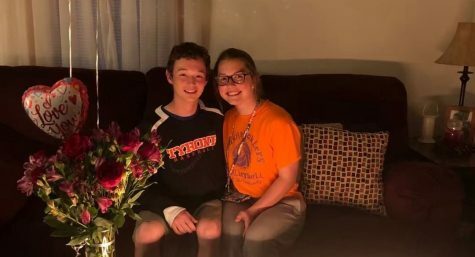 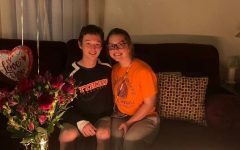 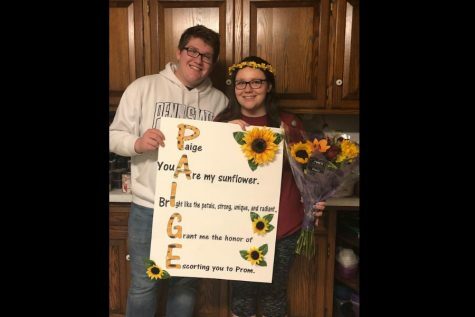 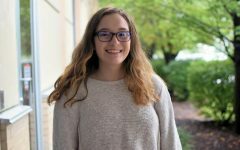 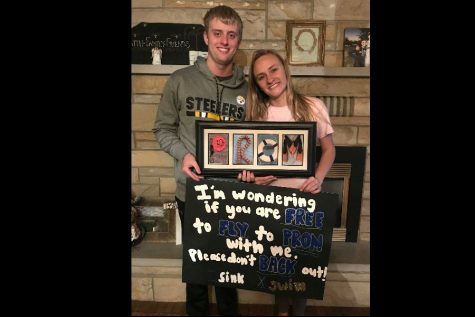 Senior power couple Olivia Barr and Cory Lehman both knew they wanted to spend their senior prom together, and since this will be Olivia’s first and last prom, Cory wanted to make her promposal special. 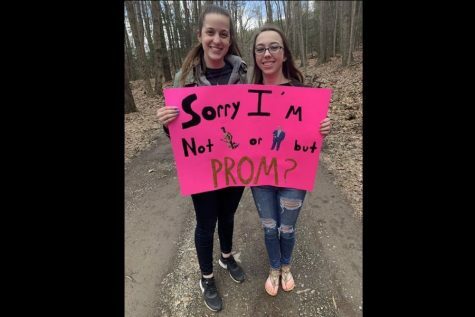 Cory, with the help of his little sister Claire, made a poster with gymnastics references. 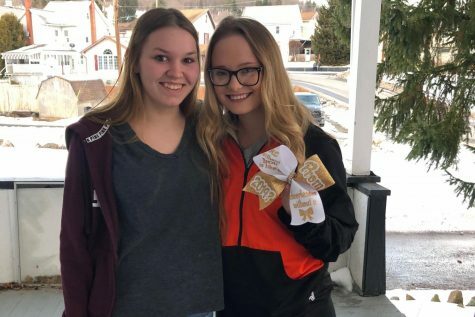 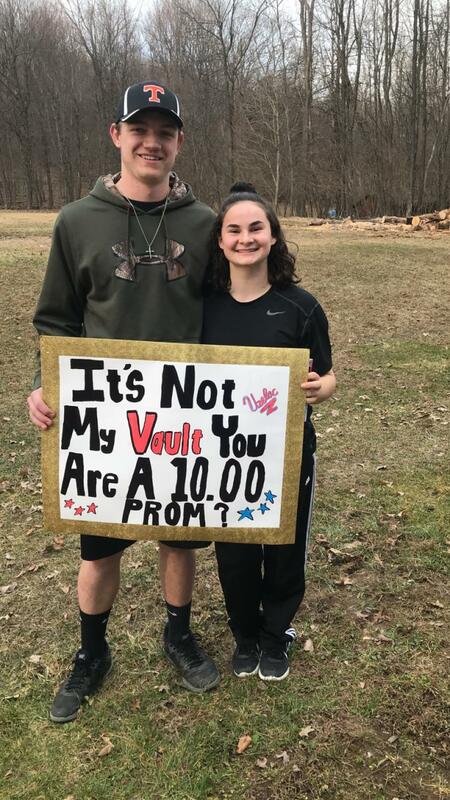 Cory went to Olivia’s house to hang out and walked out back to where she was and held a poster saying “It’s not my vault you are a 10.00, PROM?” and had candy for her as well. 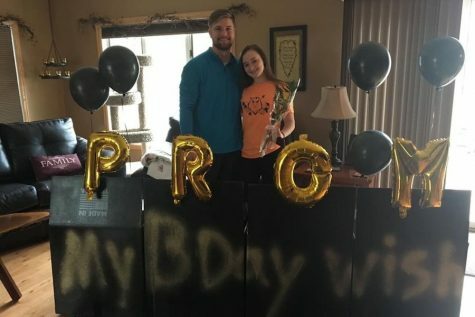 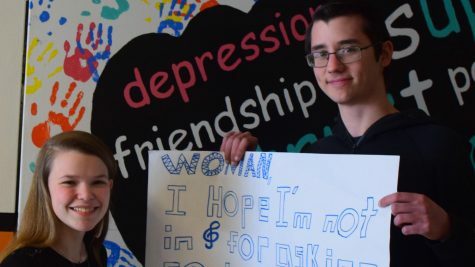 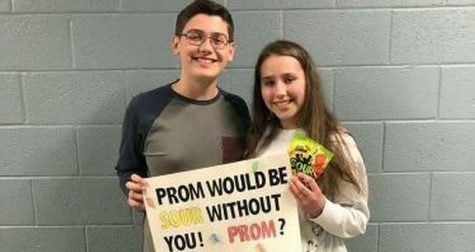 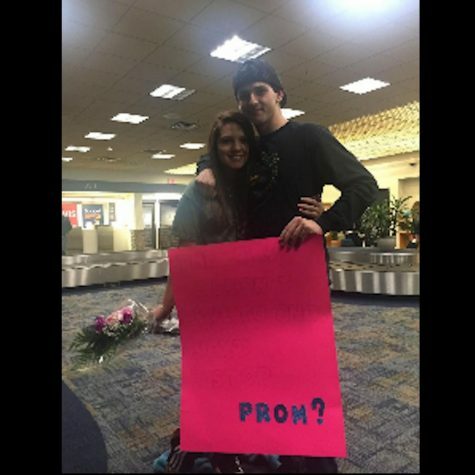 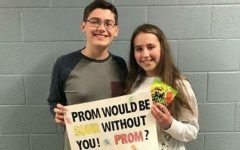 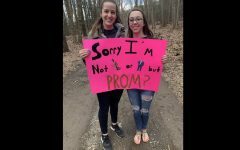 Cory had been dropping hints for a while about the promposal and was Olivia was surprised and happy with the work Cory had put into the poster.